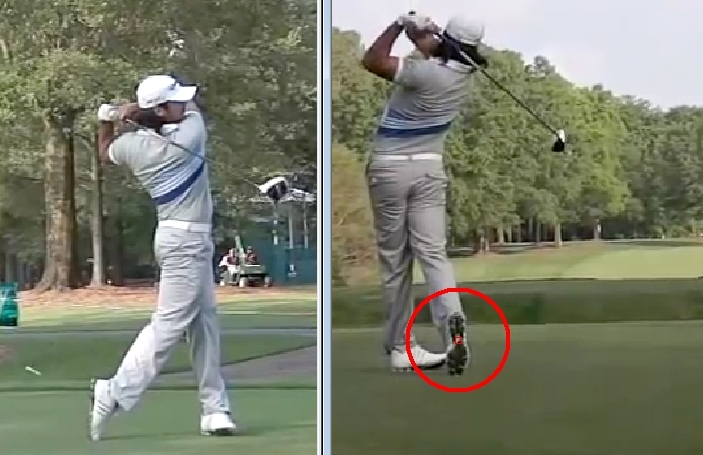 Below I have a swing analysis of Jason Day. Jason had a great win in the 2014 WGC Match Play against a frenchman called Victor Dubuisson. If you didn’t see that match you missed a real treat. Dubuisson made some astonishing up and downs to keep the match going. I’ve never seen anything like it before. Some are saying it’s the best match they’ve ever seen. But it wasn’t for me, just because it wasn’t great golf in terms of birdie for birdie. But rather it was a great, hard fought match that both players would do almost anything to win. In the end, Jason won simply by hitting the ball better. And Jason would be one of the golfers that I like the most. I love his aggressive style. And at 6 feet tall and 195 pounds he’s a pretty standard size. But he still gets it out there, averaging 294 yards off the tee. So below we’re going to see why he can do that. What can you say about this setup, apart from…. Perfect! 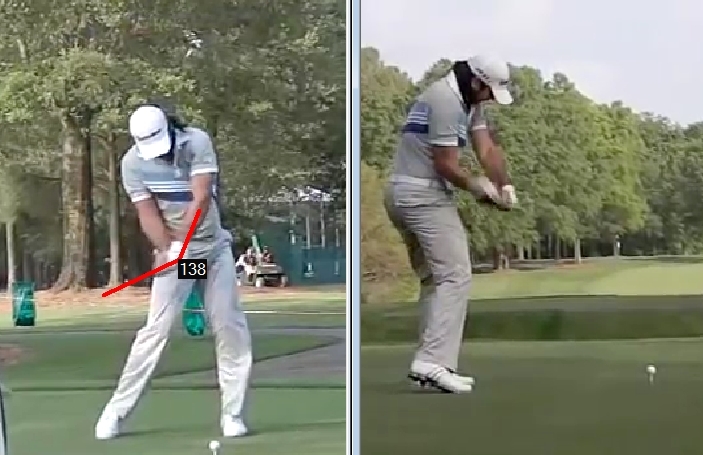 If there ever was a poster child for a good setup helping to lead to a great swing, this is it. Now here’s the thing about the setup. 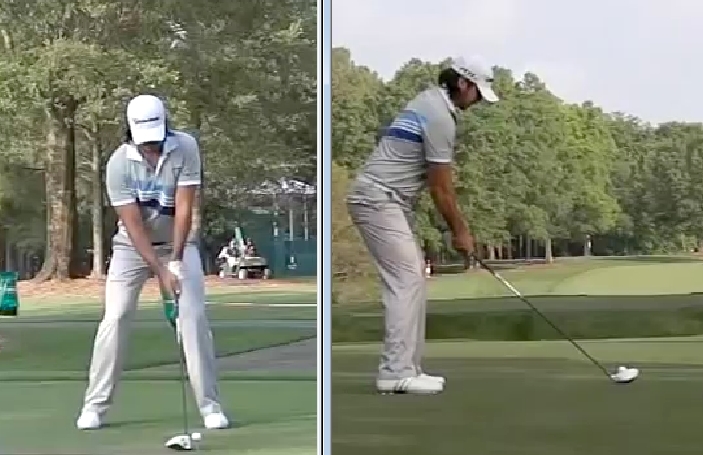 You can have as good a setup as Jason Day, BECAUSE it requires no movement. You’re just getting into a position. Let’s start by looking at Jason’s take-away. This is a classic one piece, on-plane take-away. 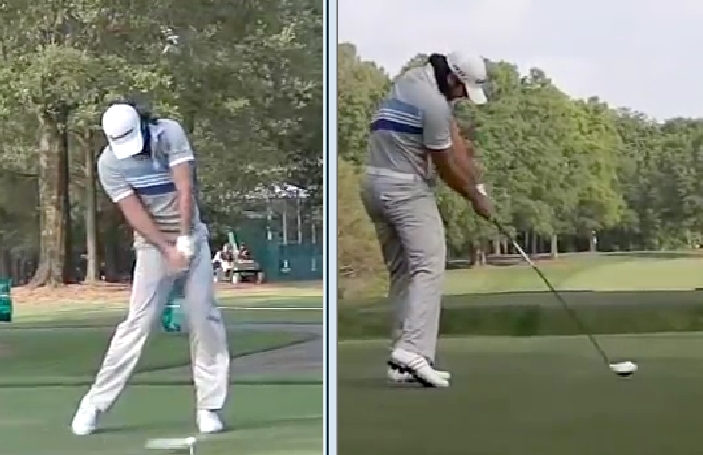 Like the setup, this is a very easy move for any golfer to replicate because very little is moving at this point. You are simply turning the shoulders. 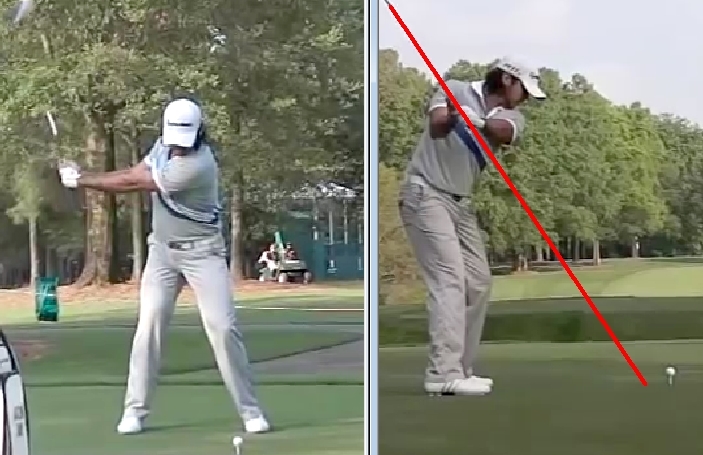 Now let’s look at the half-way point in his backswing to see what sort of position he gets in. This is a great half-way back position. Notice his swing plane is just inside the ball at this point in the backswing. And that’s perfectly acceptable. In my 3 Easy Steps To A Pro Swing Plane program I teach golfers to have the swing plane pointing at the ball. But if a golfer should err on one side or the other, it should be inside the ball like Jason is doing. That is a huge difference between pro’s and amateur golfers. Because amateur golfers almost always err on taking the club away too flat. 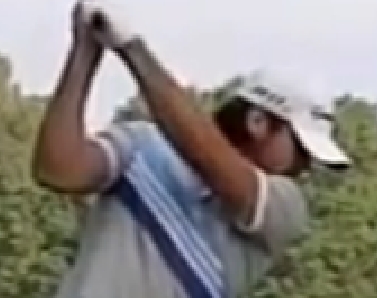 Ok, let’s look at Jason’s top of the backswing position. This is a good position. 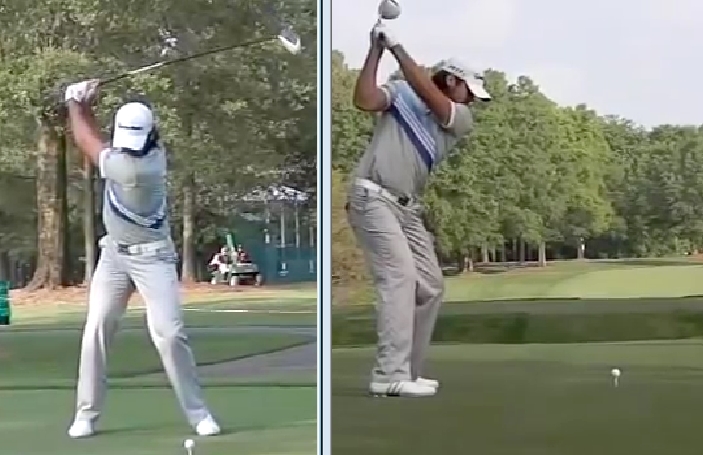 But what is interesting is that his swing is short of parallel. However, he has a very big shoulder turn. So as long as you do that it’s not that big of a deal swinging short of parallel. If you have a small shoulder turn and a swing short of parallel, then you’re going to lose distance. I check a number of things at the top of the backswing, but a couple of big things I check for are head movement and shoulder turn angle compared to the spine angle at address. Below is a picture of this. As far as head movement is concerned, Jason moves his head off the ball a few inches, which is fine. But as far as shoulder rotation I see a little problem. 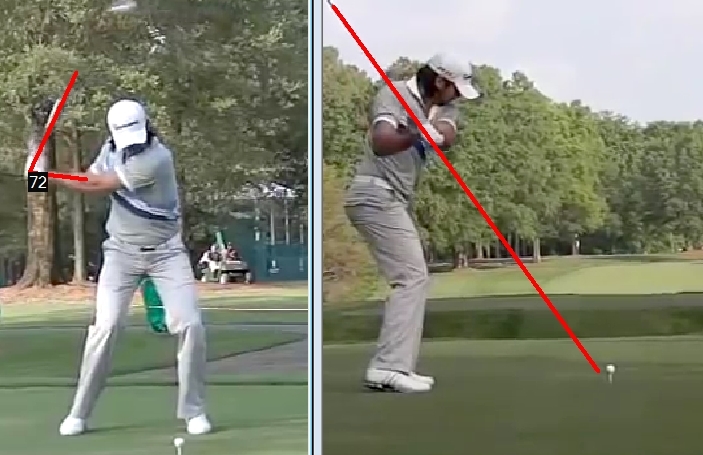 At the top of the backswing I like to see the shoulders rotate near to 90 degrees to the spine angle at setup. But in Jason’s case his shoulders are at 77 degrees. That’s why at the top of his backswing it looks like his left shoulder is covering his mouth. In the picture above you can see how much his left shoulder is covering his chin and mouth. 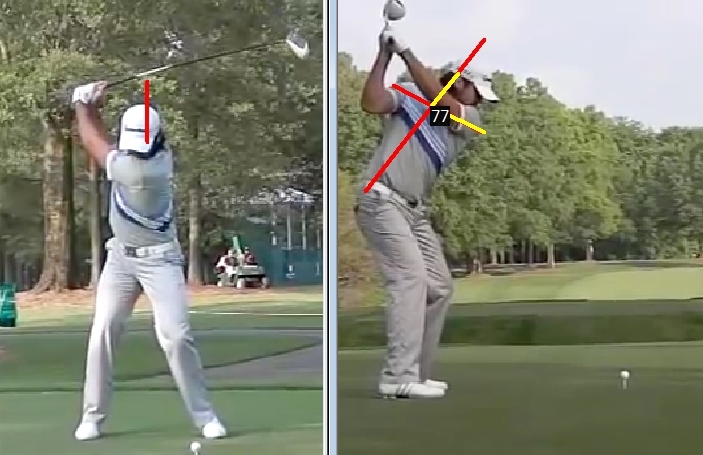 That’s just because he has a flat shoulder plane at the top of his backswing. Ok, let’s look at his downswing positions. Jason gets the club down onto an excellent, consistent swing plane slot, just like I teach in my easy swing plane system. But he doesn’t have much lag at this point in the golf swing. I would like to see more. 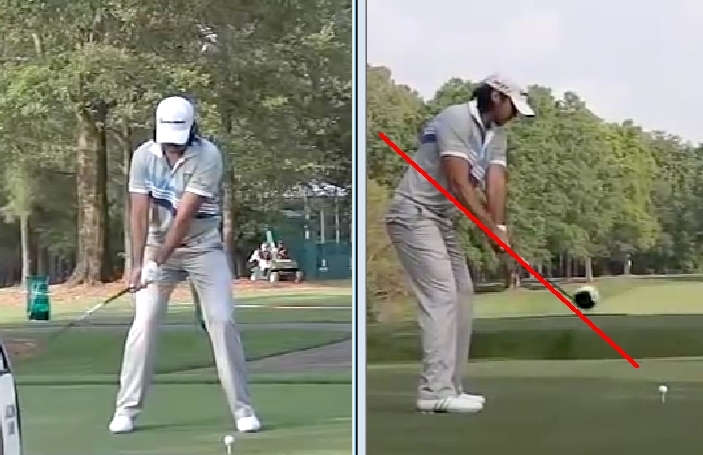 That lack of lag at the half way point in his downswing has resulted in a lack of lag when his hands are opposite his right leg. At that point I would like to see about 90 degrees of lag. But his swing path is excellent. Let’s now look at the most important position of all…. This position is why Jason is one of the best golfers in the world. Because this impact position is as near to perfection as you can get. Jason does a great job of extending into his follow-through. And what interested me is how well he gets his right shoulder moving under in the follow-through. He actually over does this, which is the opposite of what he did in his backswing. That’s the funny thing with a golf swing. 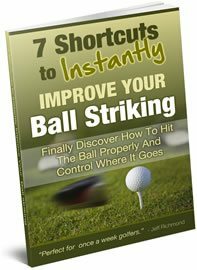 If you make a less efficient move somewhere in the golf swing, it will show up somewhere else. Jason has a classic finish. Pretty much all of his weight is on his left side. You can see all the spikes on his right shoe from down the line. Could you imagine seeing just the finish of his swing and not predicting a great shot! All in all, Jason has a great swing and hits it a long way. 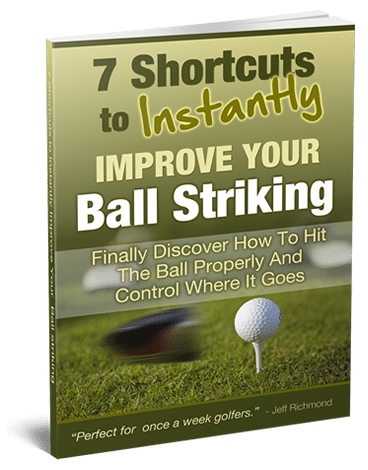 And if you want to add yards to your drives, go here to get my 21 Yards in 21 Days program at a heavily discounted price.